For marketers, social media managers and business owners, this week’s latest news bring a mixed bag of announcements. Polls in Instagram Story Ads – It’s almost here! 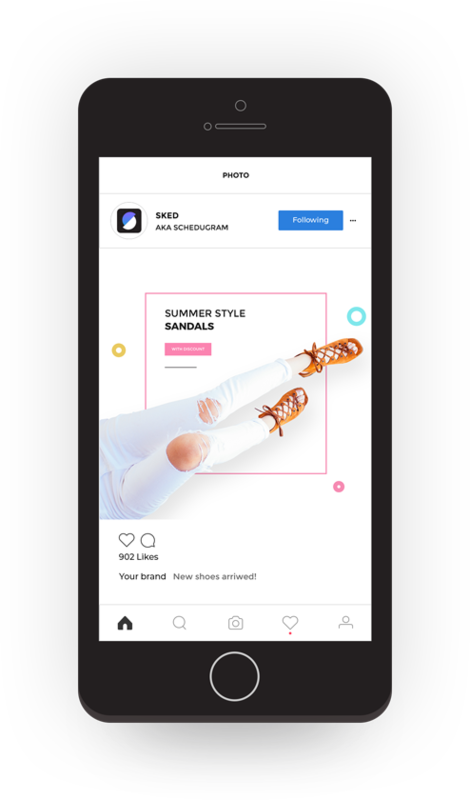 If you caught last week’s news announcing that Instagram Story ads are overtaking feed ads, you’ll be pretty excited by this new roll-out too. As of next week, Instagram Ad managers will have access to poll stickers in ads on the Story platform. Yes, polls in Instagram story ads are so close we can nearly taste them! 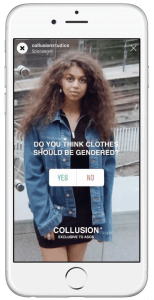 Polls in Instagram Story ads will give social advertisements a more interactive touch which not only gets the viewer involved but also collects important data about the views, beliefs and opinions of those targeted. As a huge move for marketers, we see this tool being a pretty powerful element for paid advertising. And can speculate that retargeting ads will reach a whole new level. If Instagram marketing is part of your brand’s digital strategy, then polls in Instagram Story ads are definitely something you’ll want to be exploring! Grab Your Guide to Social Media Planning Success. Carve hours out of your workflow with this advanced ebook. Want a new Instagram name? You’re in luck! Commitment is hard. Taking the plunge and getting that edgy haircut. Signing up to a new lock-in phone plan. And choosing your Instagram handle. But it appears that Instagram is up to some sneaky business yet again, as reported by Jane Manchun Wong. 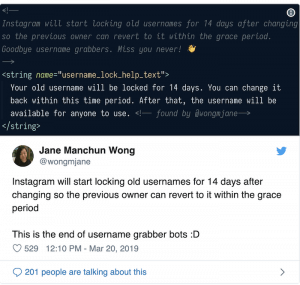 In code discovered by Jane and reported on by Fortune, it appears that Instagram is testing a new feature which allows users to switch their name, while still keeping their old one for 14 days. Whether you’re wanting to try another name on for size or experimenting with a few, Instagram’s name swapping feature could be right up your alley. Let’s hope the feature is released by April 1 for sneaky April Fools antics. We’re not counting on it, but it’d be a cool story, right? Apple’s new video subscription service to overtake Facebook Watch? Cleverly, Apple Tv+’s announcement came with a string of celebrity endorsers (think: Oprah, Jennifer Anniston and Big Bird). Revealing that they’ll soon offer unlimited access to classic favourites and new release videos, this had Apple’s audience wriggling in their seats. Content will start out as free, then call for a monthly fee, TechCrunch reports. Facebook watch reportedly has 75 million people watching at least one minute per day, however with a different field of content to Apple TV+ (often documentary-style or reality), we see changes on the horizon. Earlier this month, Twitter launched a prototype app ‘twttr.‘ This offered some users early access to new features and allowed Twitter to see which ones people liked best. As a natural accomplice, Twitter launched Character Count – a podcast educating its audience about how to manage Twitter ads. Interestingly, video tweets receive 10 times more engagement than text or photo posts. If your business or brand is using Twitter, this is an important metric to note. Since Twitter is using an algorithm based on engagement, more interactions with your posts matter. As Twitter accounts post an average of 15 times per day, it’s important to keep content fresh. That’s why we recommend scheduling tweets ahead of time. Stay relevant and consistent by scheduling tweets with Sked Social! To get a one-up on your competitors, we recommend checking out these resources and familiarising yourself on how they work. A place to plan & schedule your Instagram posts, Stories, videos and more. Tag locations, users and products and manage all your hashtags in one place to save 5+ hours every week. After months of listening, reviewing and developing, we were so excited to announce the launch of our hashtag recommendation tool! Sked Social users can now wave goodbye to the endless hours of hashtag researching, and hello to easy, streamlined hashtag research and list formulation. Within the hashtag recommendation tool, users simply type a single or group of hashtags, then the recommender suggests complementary hashtags and ranks them in order of suitability. Try it out for yourself today, with our 7-day free trial. 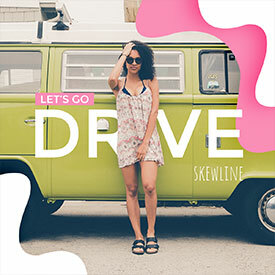 We teamed with huge brands like Facebook, Skechers and Lexus (plus seven more) to learn their insider secrets about the Instagram strategies they use. Whether it’s through the use of topical content, connecting with targeted accounts or getting real with their audience – these experts spill all. Score your free copy here. Want to carve out 5+ hours per week with a social media scheduler that ‘gets’ you? Try Sked Social’s free 7-day trial and experience the in-built preview, edit, schedule, hashtag and publishing tools – plus, so much more. 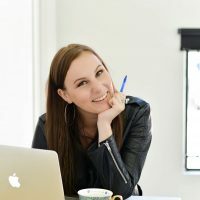 Danielle is the Founder of Readcity Writing, a copywriting and digital marketing biz helping small businesses reach wider audiences through edgy online marketing strategies. When Danielle's not writing articles, creating social media campaigns and wistfully looking out her window, she's playing drums in a band and hanging out with office cat Larry.